That which we share in our world is far more valuable than that which divides us. Total Escape wants to be your local travel resource, for California & the westcoast. We list no chain hotels, no amusement parks & no casinos. Our deal is nature, mother earth & you know you need it: Glad you're finally here! Click that photo above for discovering the Bolinas Bay & more California. Plan your custom road trip, by the highways of California. Discover State Parks, High Sierra Passes, Loop Trips & the most unique lodging. This scenic back roads list will be growing now that the mega list-o-towns are dialed in. 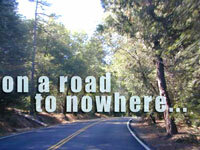 Jeep tours in the desert or a luxury b&b at a winery, Total Escape has what you are loooking for - guaranteed. Way out there, on the other side of the state, the other side of the desert - is the Colorado River that separates California from Arizona. Near Yuma, AZ there is a Park worth a visit. 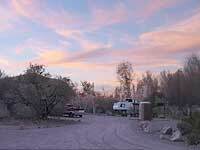 A large campground, suitable for every kind of camper & plenty privacy with trees. Jet skis, fishing & kayaking are all popular sports. Looks like Spring is already here in California. The mild weather hints that winter is already gone for this year. California wildlfower reports can be found here. Warmer months ahead: get outside, off the couch, away from the computer, enjoy a picnic. March winds will blow in all kinds of new ideas, now that this California list is live.